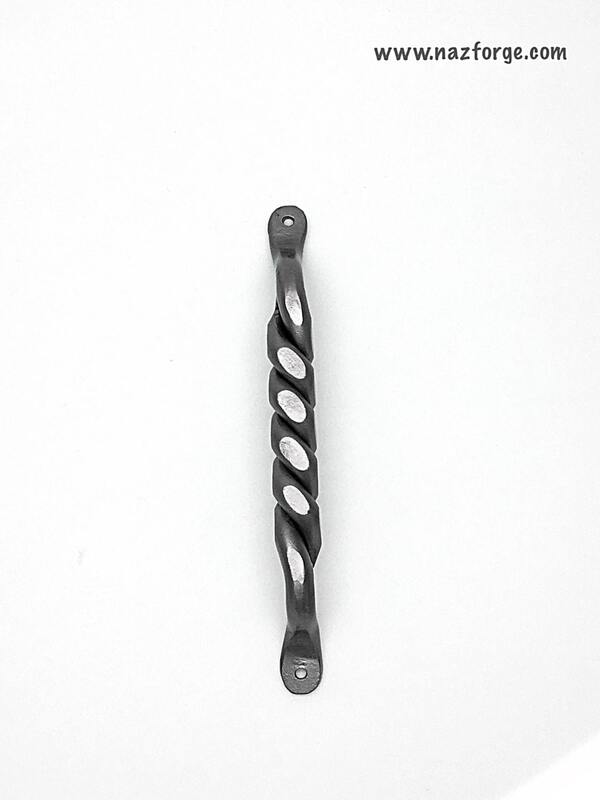 The price indicated is for one handle. 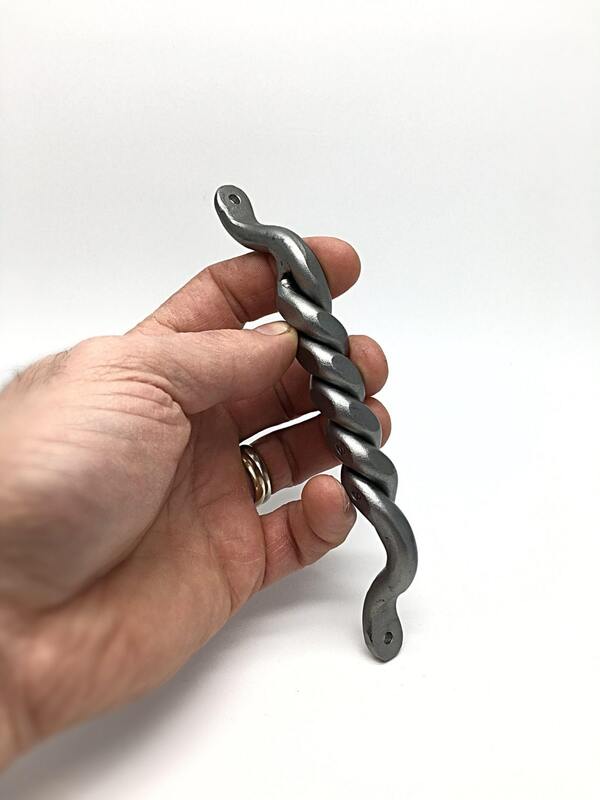 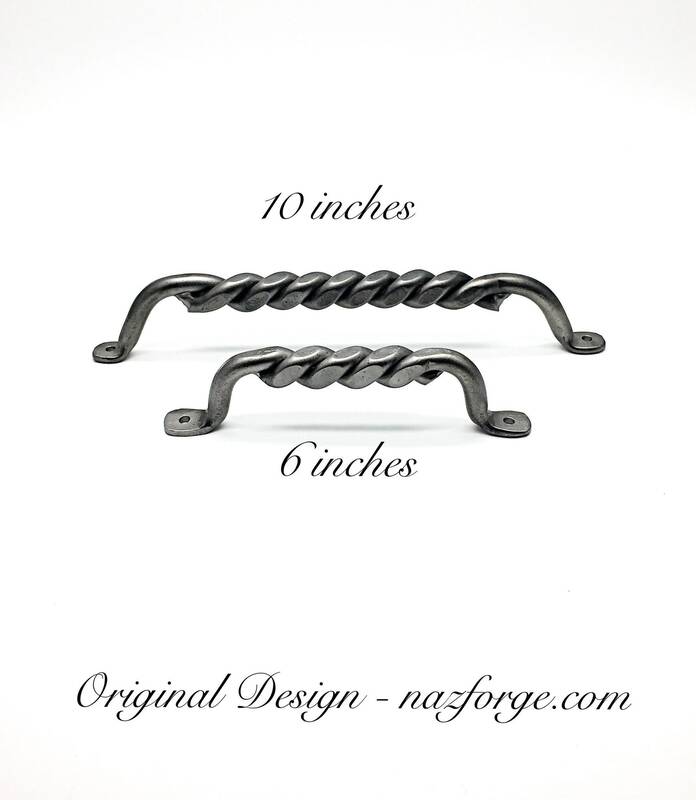 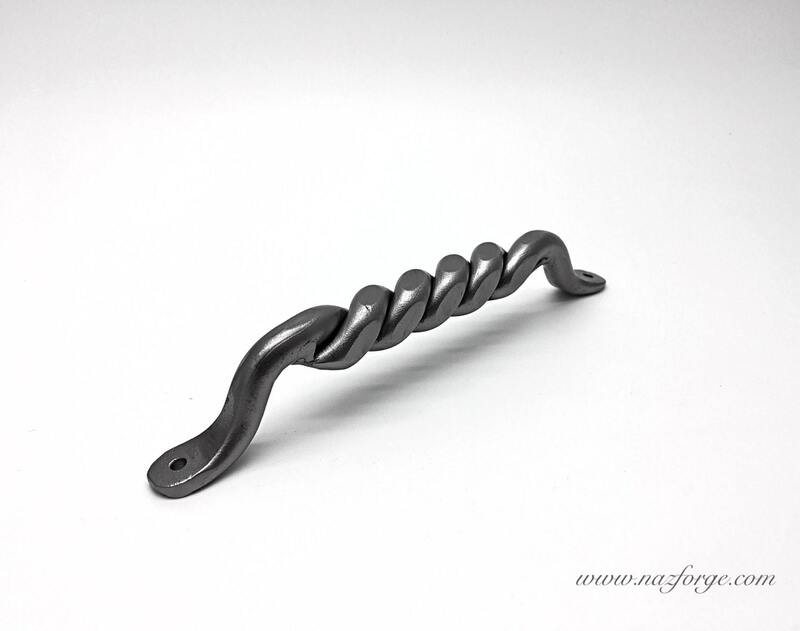 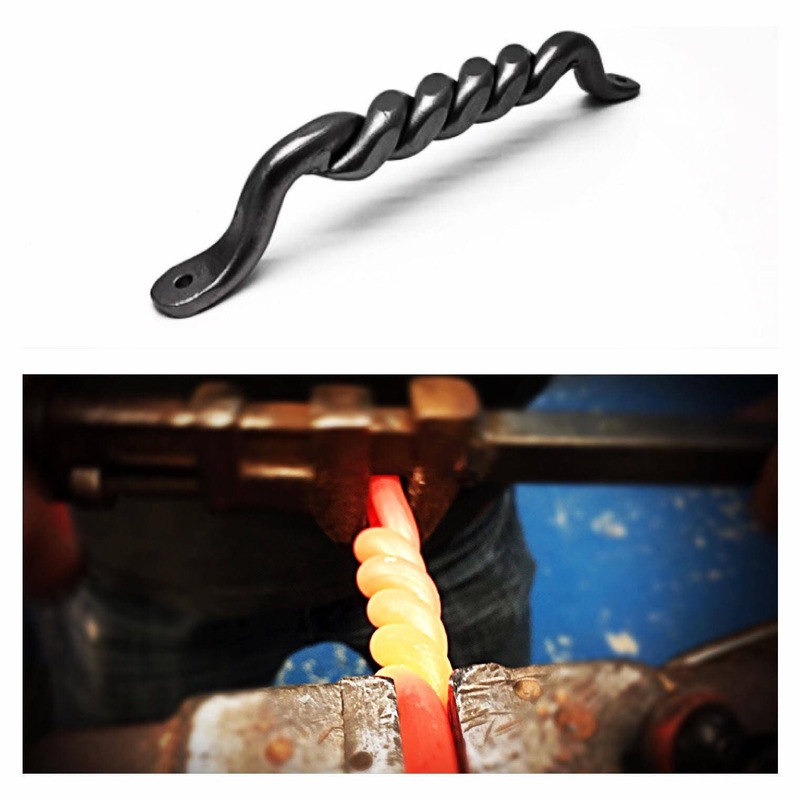 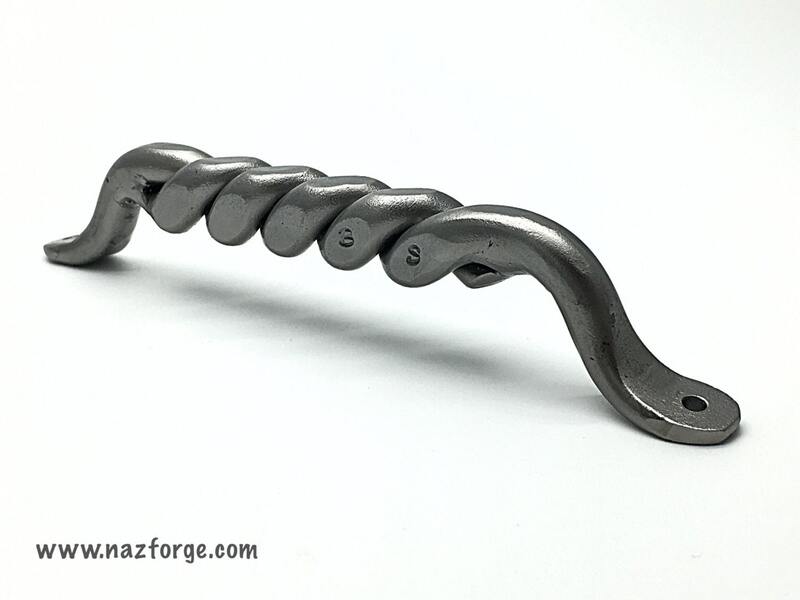 Heavy duty, these hand forged twisted door pulls are available in 2 different sizes : 6" long or 10" long. 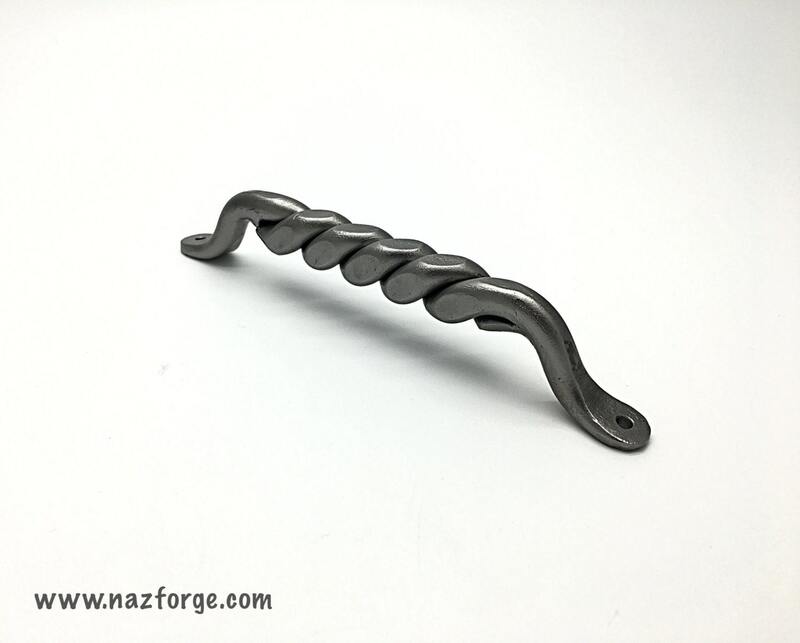 After cleaning, I clear coat the handle for protection and to keep the raw iron look. 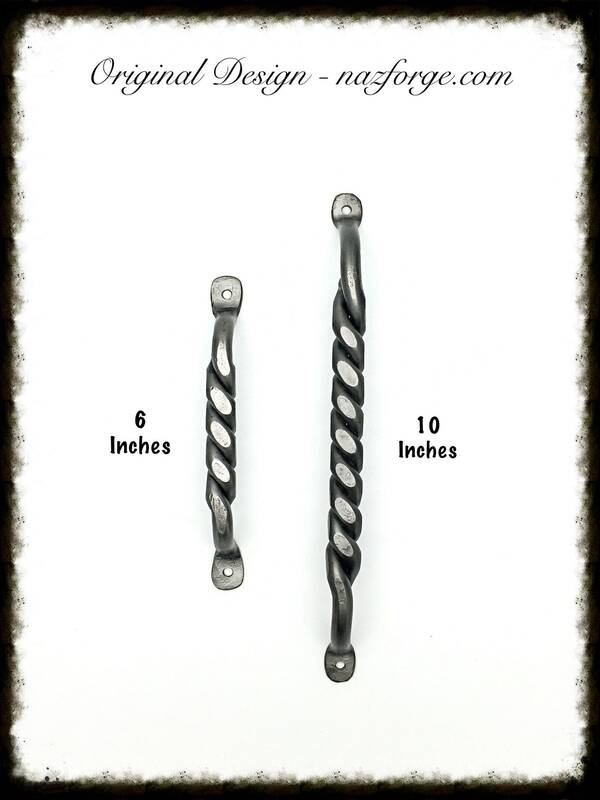 Each one comes with 2 decorative wood screws that match the ironwork.